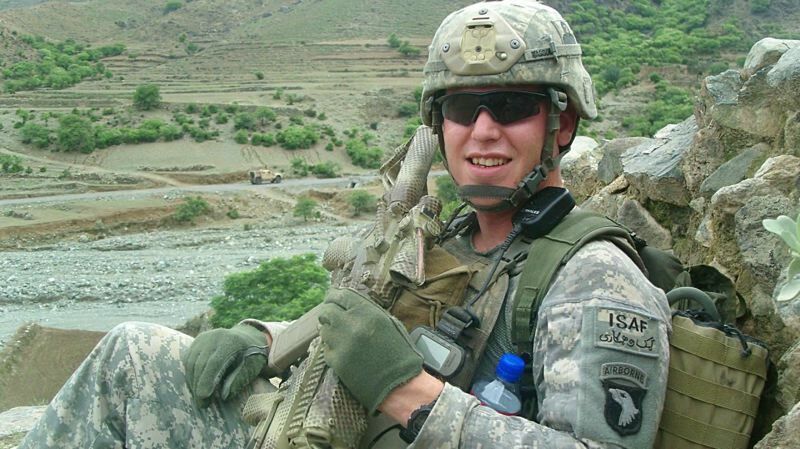 East Metro Association of REALTORS' event will help build a home for Army Staff Sgt. Wasson. In 2010, Army Staff Sgt. Frank Wasson III of Salem was on his second deployment serving as an infantryman squad leader in Kunar Province, Afghanistan. That August, Wasson's platoon was ambushed during a night patrol. His vehicle was hit by two rocket-propelled grenades, resulting in the loss of his left leg. An upcoming Mission Possible Gala in Gresham, hosted by East Metro Association of REALTORS (EMAR), will help raise funds to build a home for Wasson and his family in West Salem through Homes for Our Troops, a national nonprofit organization that builds and donates mortgage-free, specially adapted custom homes for severely injured post-9/11 veterans. "You live half your life with a limb and all of a sudden in one instance it's taken away," Wasson says in a Homes for Our Troops video clip. "There are a lot of learning curves. It takes a while to get used to things." Wasson describes receiving the home as a blessing beyond measure and tells donors he cannot thank them enough for giving his family and him the gift of a fresh start. Says his wife, Brooke, "It seemed out of this world that they'd give you a house and hand over the keys. That you'd have this house that was specially adapted — that he wouldn't have to worry about anything. This is the missing puzzle piece. He can figure out what to do next and what's going to make him happy." Stephanie Johnsen, a Realtor and EMAR's community outreach committee chair, has spent her career helping families through some of their most important life transitions. She says the gala is important to her and the committee because they have an opportunity to help improve the quality of life for one of Oregon's post-9/11 veterans who was severely injured. "Life with limitations can be very difficult," Johnsen says. "Being able to be a part of the efforts to provide fully customized and adaptive living features means this veteran can rebuild his life. He can live a life of independence." Johnsen says the gala will feature live music, raffles and silent auctions with items such as paintings by local artists, Portland dining adventures and a guided sturgeon fishing trip. "We would love to raise $10,000 minimum proceeds to donate to Army Staff Sgt. Frank Wasson's build," Johnsen says. "But we also know the sky is the limit and we would love to bring in more." She adds, "Aside from raising the funds needed to meet and beat our minimum donation goal, I hope this event unites the event goers in such profound appreciation for the undeniable sacrifices made by Army Staff Sgt. Frank Wasson and every veteran — stateside or otherwise — who has been willing to risk it all for you and for me. But most of all, I really hope Army Staff Sgt. Frank Wasson can literally feel the love coming out of East County." The EMAR Community Outreach Committee aims to fill two more platinum and three more gold sponsorships before Monday, March 12. Interested potential sponsors are encouraged to contact the EMAR committee as soon as possible to register. The committee also seeks table hosts. Each table costs $500 and seats eight. Cost: Individual tickets to the gala are $75 per person and include dinner.